All LCD switches from [E³] are fully programmable, RGB-backlit LCD switches with command-driven synchronous serial 8-bit interfaces. Custom interfaces are available upon request. 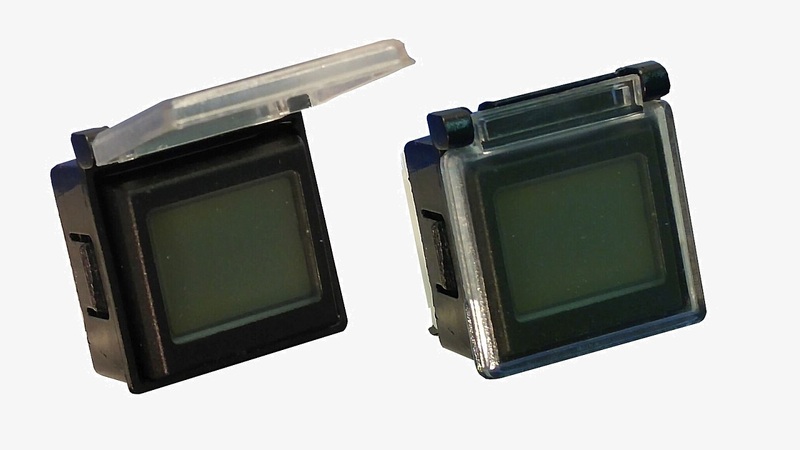 A graphical liquid crystal display with up to 64 by 32 pixel resolution is combined with RGB backlighting for positive user guidance and ultimate flexibility in I/O systems. The Sxnnnn switches are controlled by a two-wire SPI. No permanent clock is required. All switches self-initialize. Low power consumption (<25mA typ. ; <60 mA max.) and transmission speeds of up to 2 MBaud. Only six contact terminals for power, ground, clock and data plus switch contacts. The SA3624 with a resolution of 36 by 24 pixels features the SA command set plus a special Legacy Mode™ which allows for backwards compatibility in legacy systems. 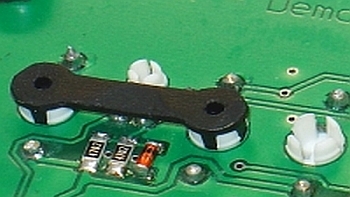 The SA6432 switch has a resolution of 64 by 32 pixels and supports the extended command set. 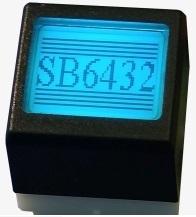 The SB6432 features a resolution of 64 by 32 pixels and over 1 million RGB background colors. In addition to the standard SA command set the SB version supports commands for key grouping and LCD refresh, bias and contrast adjustments as well as display on/off while maintaining image in buffer. The SM variant is specifically intended for military applications with inverse transflective LCD and extended temperature control. 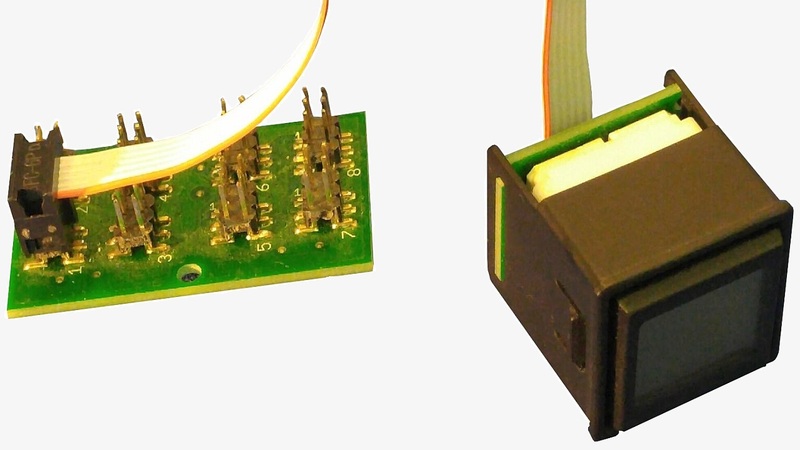 SM6432 switches are only available for [E³] designed control panel systems. The DevBoard utilizes the CC0064 controller which is the control module used in all CP series control panels. This allows for rapid prototyping and testing with immediate software portability from prototype phase to series production. 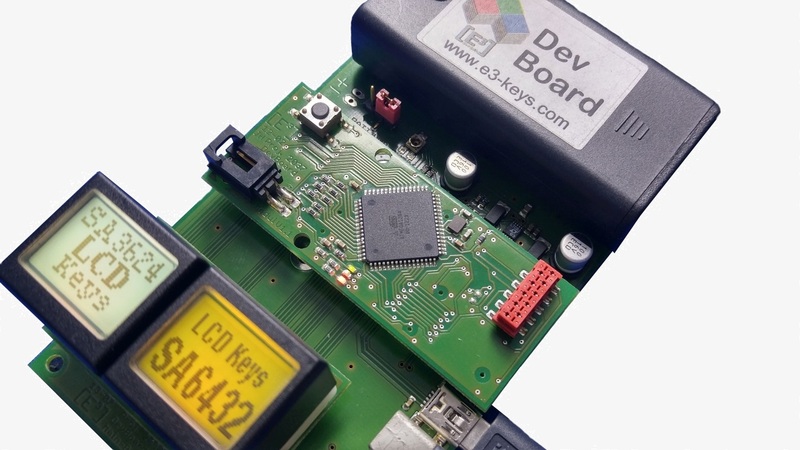 Development system with 2 switches, power options via battery pack, direct power input or over USB cable, and RS232 and USB interfaces on board. The CC0064 controller and 2 switch key matrix can also be mated for an instant 2-button control panel design. 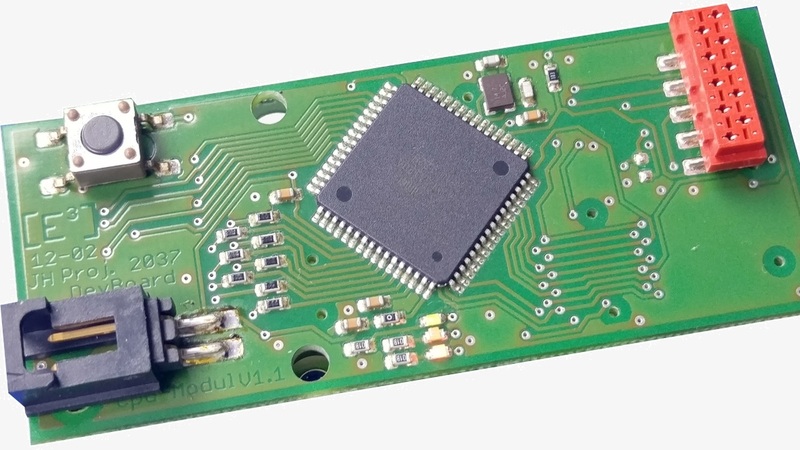 The CC0064 controller features RS232 and USB interfaces. Serial-to-Ethernet interface optional. On-board library storage for 255 bitmap images. The CC0064 is the standard controller for all CP series designs up to 64 Sxnnnn switches. [E³] offers its customers control panels designed around our LCD key technology based on our CC0064 controller or customer specified controls, interfaces and protocols. Our control panels are serial devices making them compatible with various operating systems. Ethernet versions of our panels are available upon request. 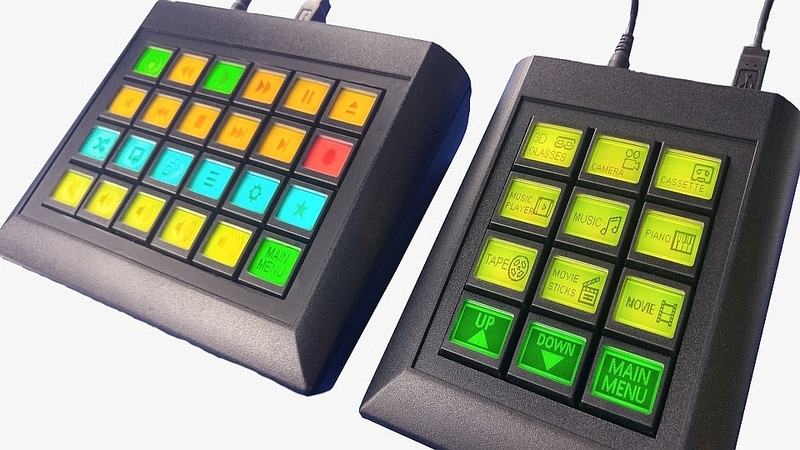 The desktop control panel series feature 12, 24 or 60 LCD keys in a desktop housing with RS232 and USB interfaces. They support all CC0064 commands and are ideal for desktop application implementation without costly hardware development. [E³] offers 19-inch rack-mount control panels based on the CC0064 controller supported commands. Available with 12 or 17 LCD keys per row in 1HU, 2HU and 3HU front panels with fully enclosed electronics or open board designs. In addition to the standard RS232 and USB interfaces, rack-mount panels are also available with Ethernet interface. on CP17 Series and Ethernet enabled panels. Custom designs and customer-specific control panels enable user defined packaging around our CC0064 controller or custom controllers. We provide custom solutions such as the integration of additional control devices like joysticks, encoders, sliders, t-bars, etc. and other peripheral items such as displays based on customer specifications. Accessory items offer greater design flexibility to our customers and enhance our LCD key technology products both for the Sxnnnn switches as well as control panel series. Socket Pins allow for the solderless installation of Sxnnnn switches on printed circuit boards of 1.6 mm and 2.0mm thickness. 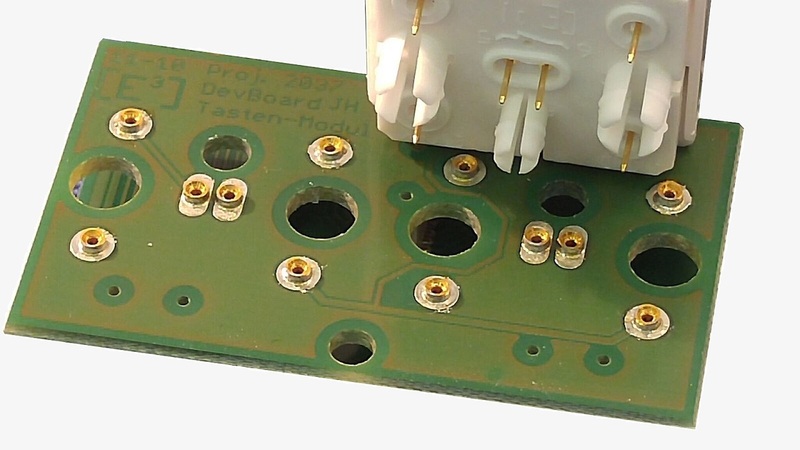 Socket pins also allow for cleaning of PCBs after soldering and before installtion of the Sxnnnn switches. Socket Locks secure the Sxnnnn switches in the Socket Pins when front panel removal of the switches is not desired. Once secured with Socket Locks the switches can only be removed by first removing the Socket Locks. 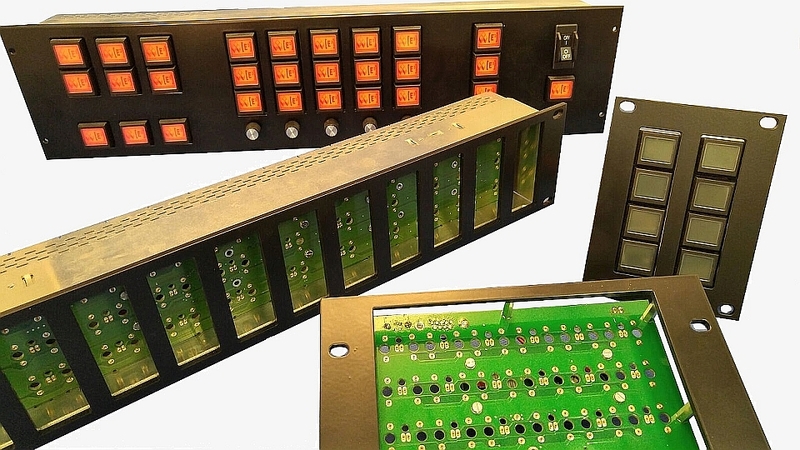 In military and other mission critical applications it may be desirable to protect the switches from accidental operation through the installation of a Switch Guard. Switch Guards are available in stay-open and stay-closed designs. Minimum order quantities apply. 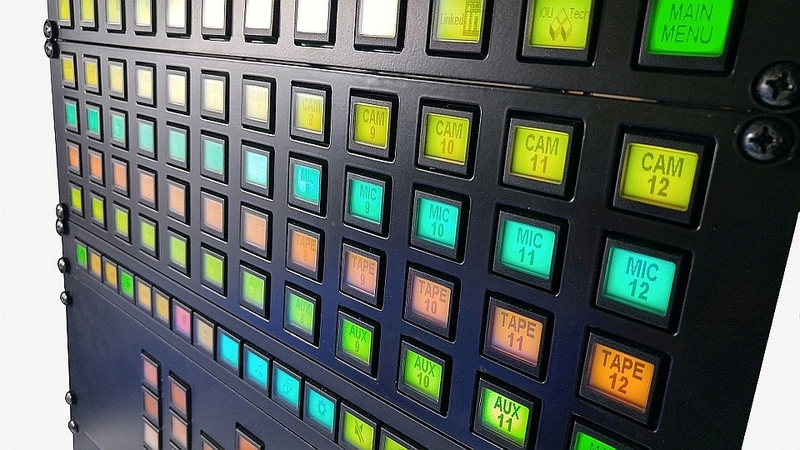 Panel Frames allow you to mount the Sxnnnn switches directly into a front panel and connect to the CC0064 controller via ribbon cable for maximum design flexibility.